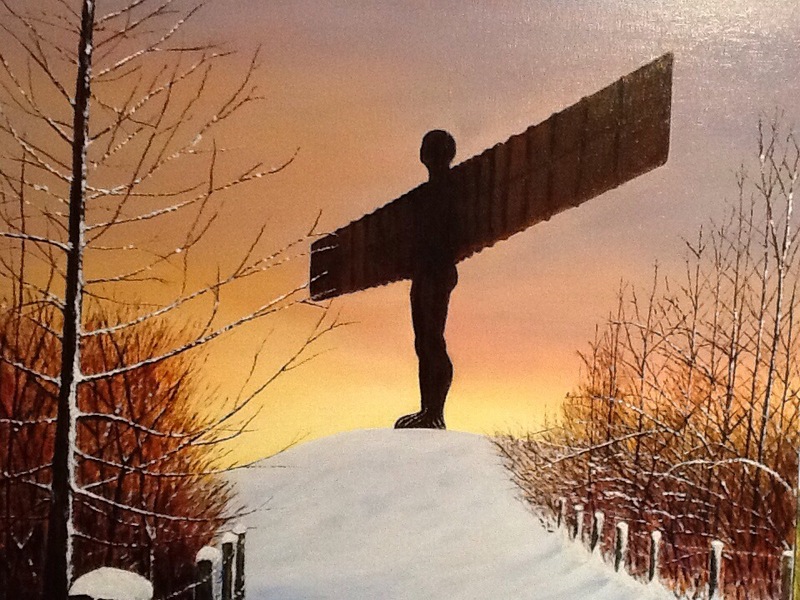 Painted in oils, this iconic piece of public art by Antony Gormley, stands some 20 metres high with a wing span of 54 metres, on the approach to Gateshead, just off the A1 Great North Road. In this painting ‘The Angel’ is shown surrounded by winter’s snow at sundown. 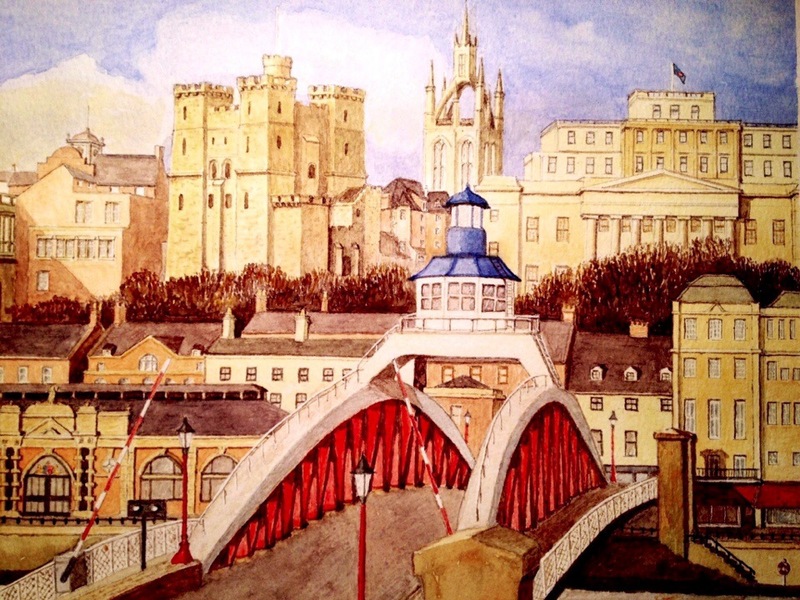 In watercolour, finished today, can be seen celebrated local engineer, William Armstrong’s Swing Bridge. Revolutionary of it’s time in 1876, the bridge still powered by its original hydraulic engine, swings through ninety degrees to let ships pass. Armstrong manufactured the bridge at his engineering works further up-river, paying for it out of his own pocket. 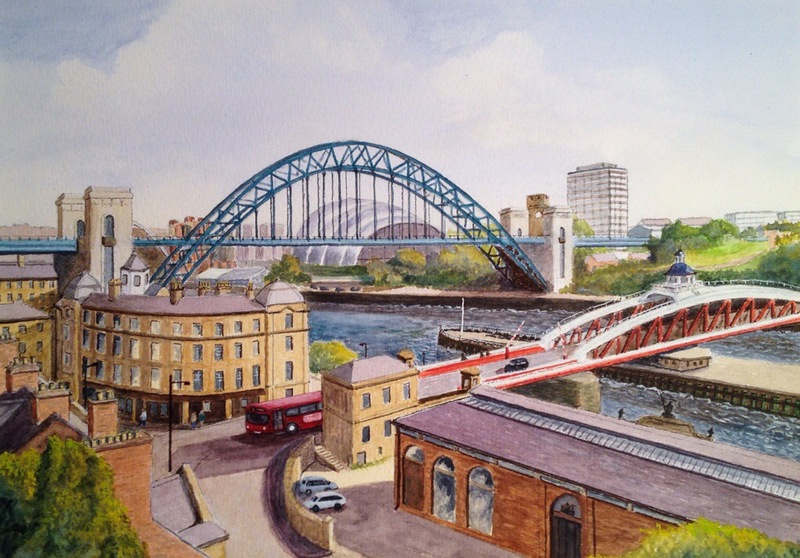 The bridge provided a crossing between Newcastle and Gateshead and when open, allowed warships to sail up to his works to be fitted with armaments. 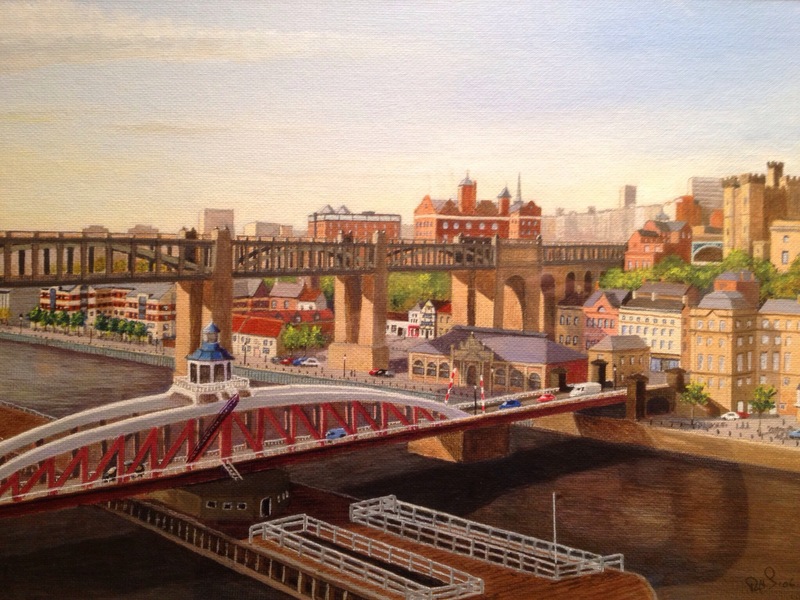 Beyond this, is the Tyne Bridge, built in 1928. 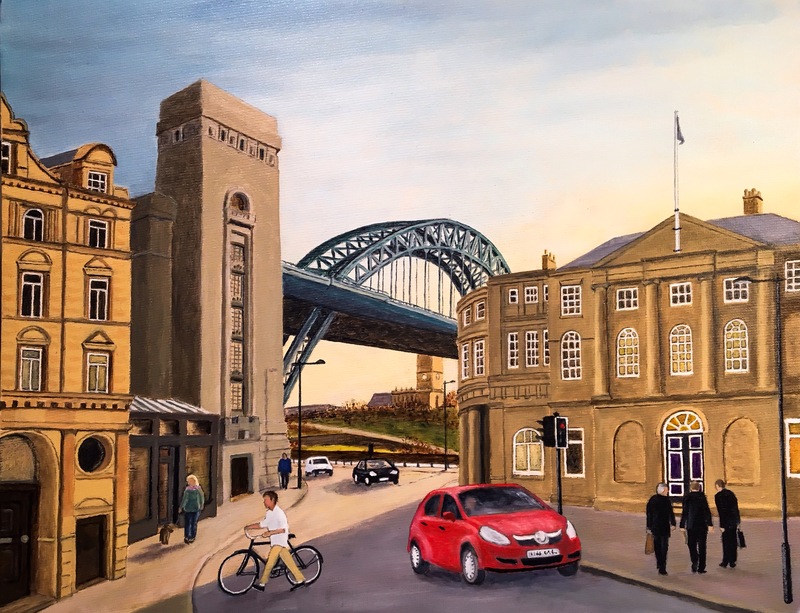 Also can be seen The Sage concert hall, built the Gateshead side of the River Tyne, in 2004 with glimpses beyond, of the Baltic Art Gallery and Millenium Bridge.